The year was 2009 and had been reviewing wings in Ottawa for just over a year. 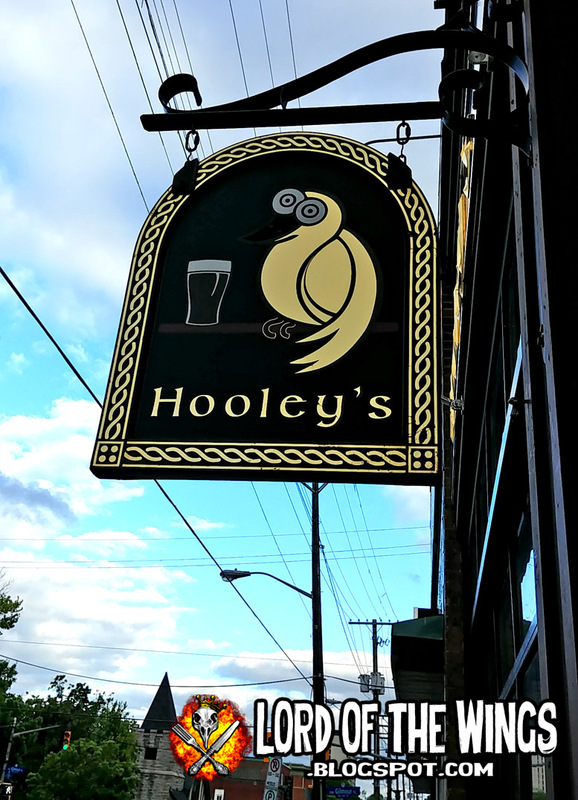 I was looking for some cheap wings and I found that this pub called Hooley's had a 1/2 price menu night and figured I'd go check it out. 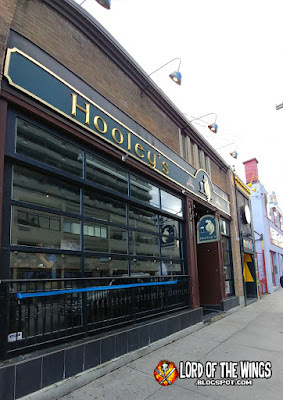 I liked the wings (they ended up being my #3 of the wings I reviewed in Ottawa in 2009), so after hearing that Hooley's had a giant wing menu now, it was time to see how things had changed. I didn't remember the inside of Hooley's at all and I thought that they had done renovations, but looking back at old photos, nothing seems to have changed, but that wasn't a bad thing. I arrived at around 5pm and the place was already busy. The hostess was super friendly and she took me to what turned out to be the exact table I sat at almost 10 years ago! The back room was full of booths and long tables that started out empty, but was completely filled by the time I was eating. I felt almost guilty that I had a 4 person table to myself while others were confined to smaller tables, but I was spread out doing some work so I tried to not let it bother me. The hostess had brought the menu, but also a bunch of wetnaps and napkins. Later she doubled the size of the pile for no particular reason, but I was cool with all the supplies. My server was not as friendly, but she wasn't unfriendly. She did have to answer all my questions about all their wing sauces. I got a Diet Coke to drink, and it was not free refills. At $3.54 it was a pricey standard glass of pop. In the photo above you can see a green drink, but it's just the mason jar that was green, the water inside was clear. 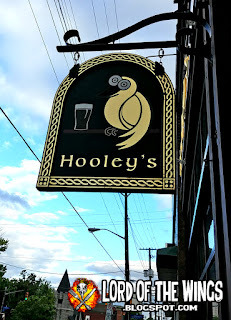 When I was here last, Hooley's had 12 flavours; now, they had over 30. They really had stepped up their sauce game! Well, I was here to do some sampling, and sampling I did. They had some really unique sauces that boggled my mind. 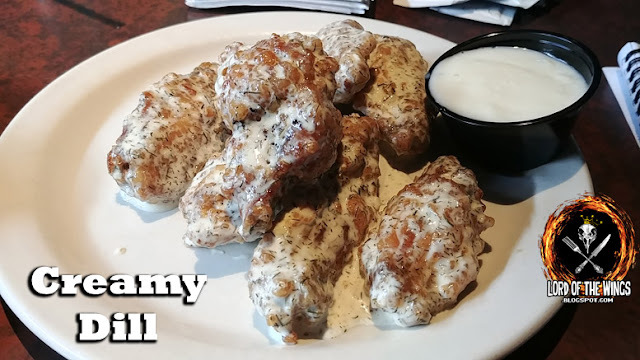 For example, I asked about the Pepperoni Pizza wings, which are pizza sauce with cheese shredded on, and the waitress highly encouraged getting the garlic dip and said it was amazing. She didn't say anything about pepperoni though. Hot on the other hand was just Frank's Red Hot, so there was a mix of original, classic, homemade and commercial sauces. 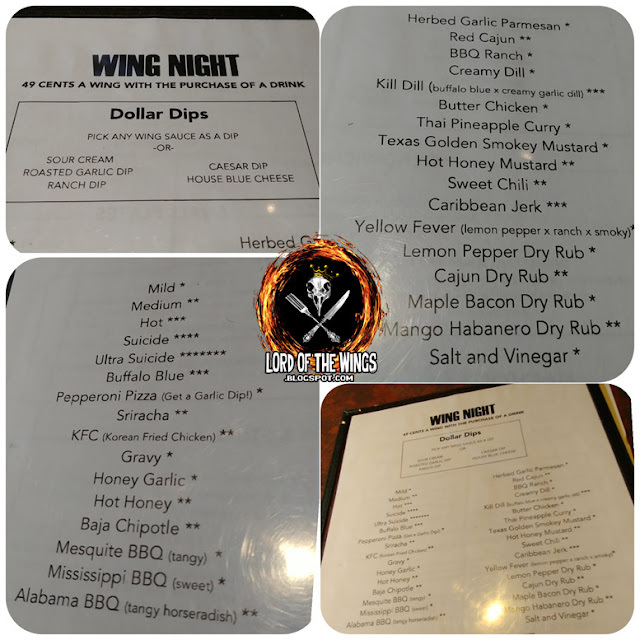 In total, I ordered 3 pounds of wings (each a different flavour) with 3 sauces/dips on the side of each so I could maximize my flavour experience. The wait time was pretty good considering how packed the place was. I got one dip on the side (the other were wing sauces) and I went with Blue Cheese. 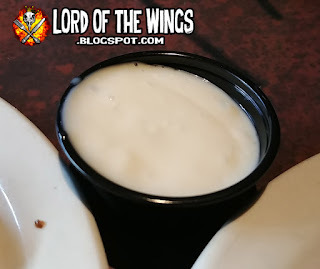 It was a good blue cheese - some chunks of cheese, somewhat creamy - I was glad I added this on the side. 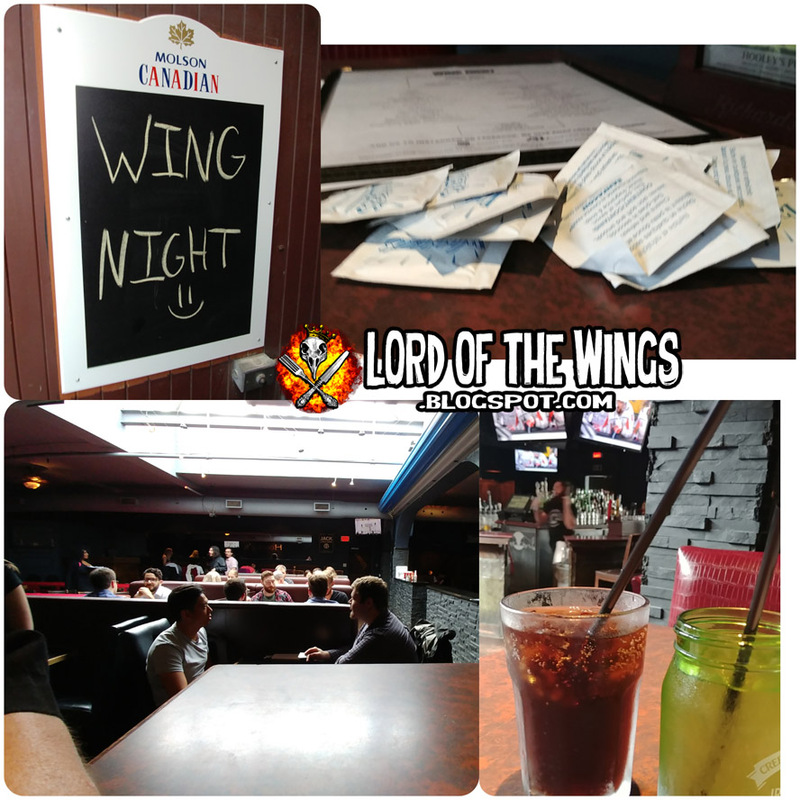 On a normal night, you would be paying $14 a pound for about 8 wings. That seems crazy but it also seems to be the trend these days. I'm not sure if they come with any sides on a normal night, but during wing night they do not for sure. 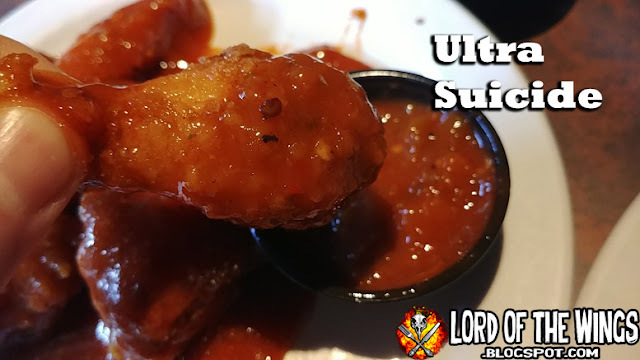 I need to mention that they are super generous with their sauce. 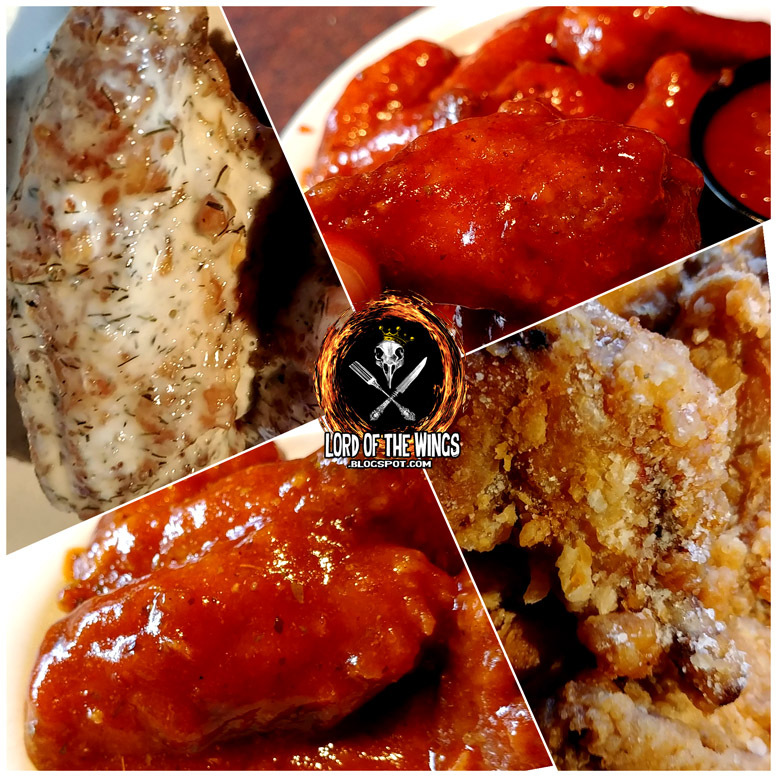 These wings come floating in thick sauces. There is no skimping here. I wish I had some bread or something on the side to sop up the extra sauce. 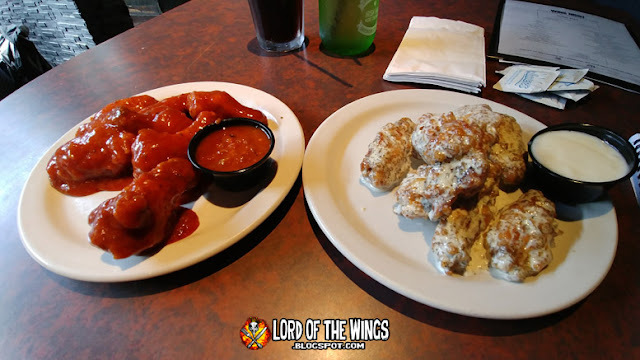 The wings themselves are a medium both in length and meatiness. 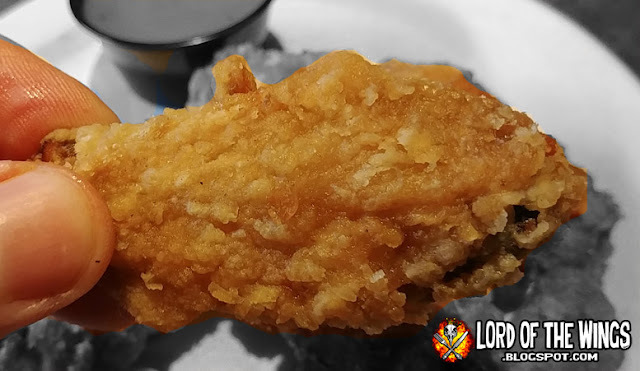 They are breaded and deep fried which gives them a little bulk. The skin/breading creates a thick enough coating, which is good because it has to hold up to all the sauce. The wings are frozen (you can tell when you break apart the flats and see the bones are all blackened, which means they were frozen). The meat was not tough but not tender either. They lost points on my scale for this, as well as not tasting like the freshest of wings. They weren't bad, but they were not the best quality meat either. It was really hard to pick between the 30+ flavours so I went with the flavours that appealed to me the most at the moment. 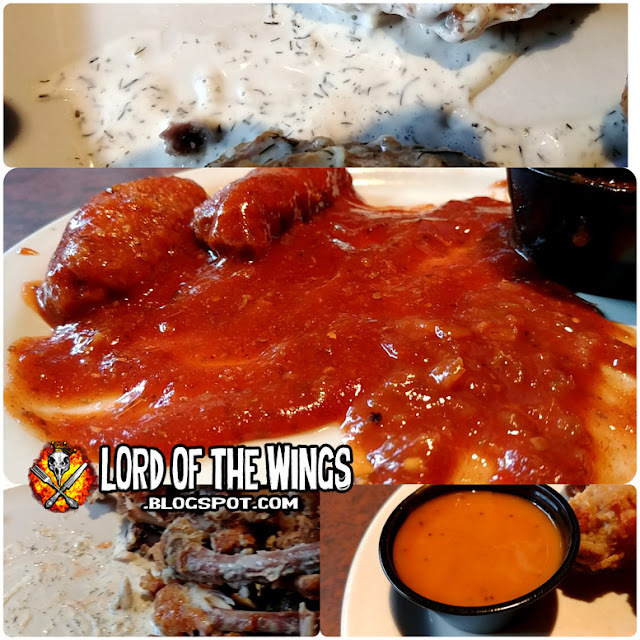 I skipped basic hot because it was Frank's and went with some more interesting sauces. I was still trying 5 flavours, but there are so many more to go. 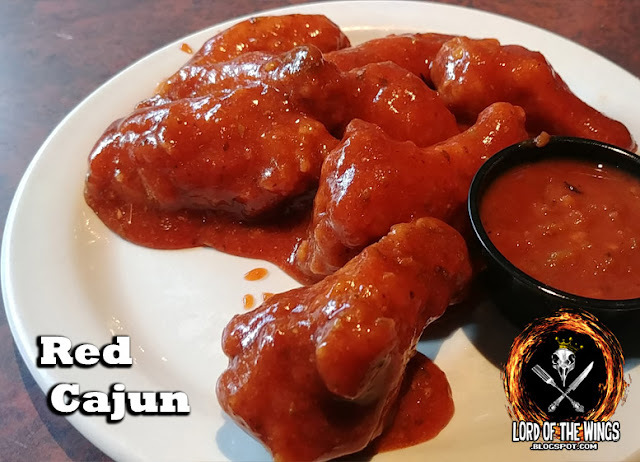 I asked about this and was told it was the dry Cajun seasoning, with a special sauce. That really sounded good to me. It came and was much more red sauce looking than I expected. 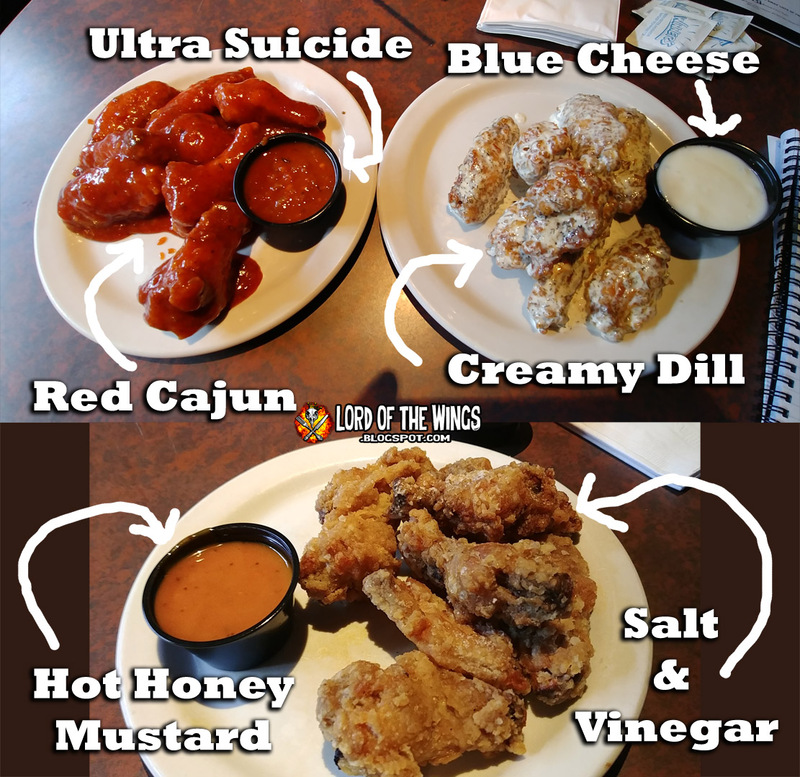 I'm pretty sure the red sauce is the pizza sauce for the pizza wings because it was a thick tomato-based sauce with I assume was Cajun spices. It was too much for me, the tomato that is. 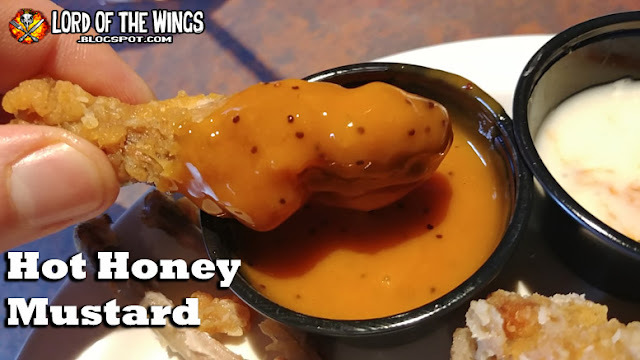 I liked the concept but the sauce wasn't for me, especially when there was so much. Wow this was a good creamy dill sauce. It reminded me of The Puck in Toronto's creamy dill. What can I tell you, it's creamy, cooling and tastes like dill. Love that sauce. This was on the side. This was not ULTRA. It had a bite, but not that hot and I expected to be blown away. Clearly a mix of hot sauce, habanero, and chilis. It had a fresh, bright flavour to it. When I started I was really digging it but after about half the container I just had no interest in it anymore. Well they did what they said - they were salty and they were vinegary, just like the potato chip. 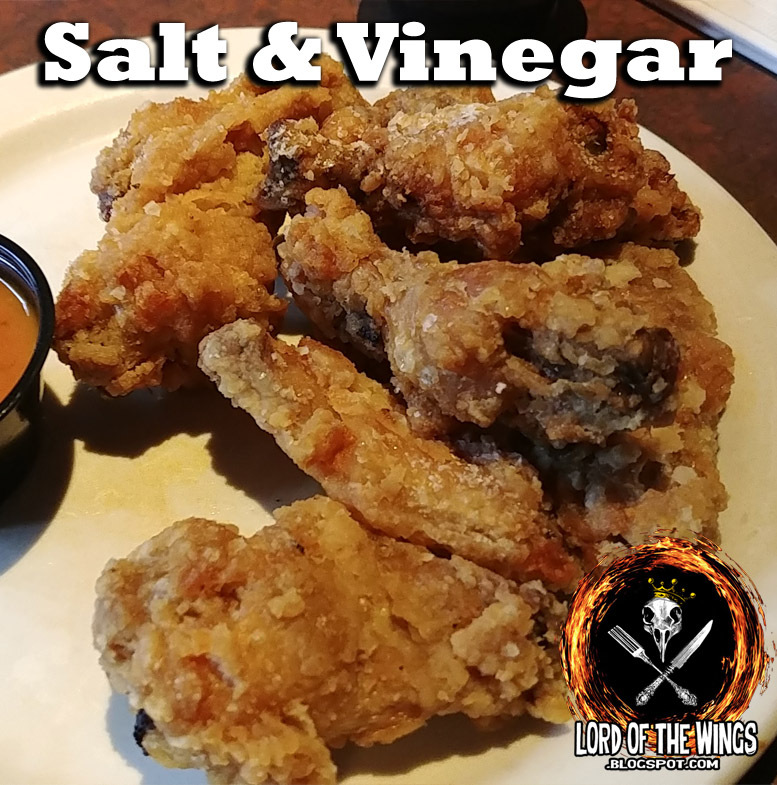 But the same problem when I've made these wings, the vinegar just destroys any kind of crispiness that existed in these breaded fried wings. The skin is mushy and if there was larger salt granules, they were absorbed into the vinegar. I don't know how you achieve the flavour without losing the texture though. Wow - way too sweet. Yuck. I couldn't eat it. Not hot at all, just sugary sweet. Hard pass. 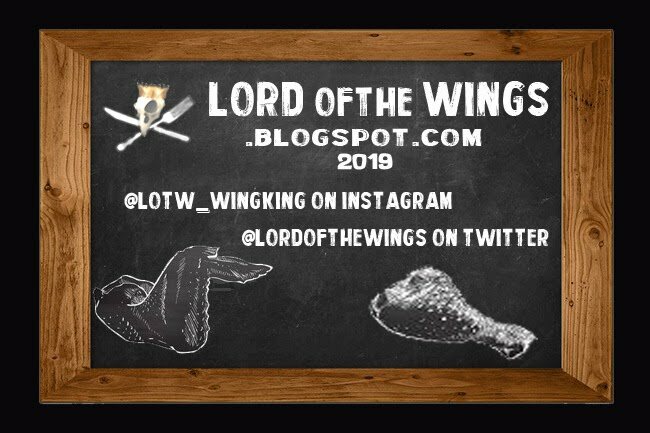 HAPPY CHICKEN WING DAY 2018!!! #fryday = Kell's Kitchen "Suicide on Ice"
Happiness Happened Here: "Bones in the Tub"